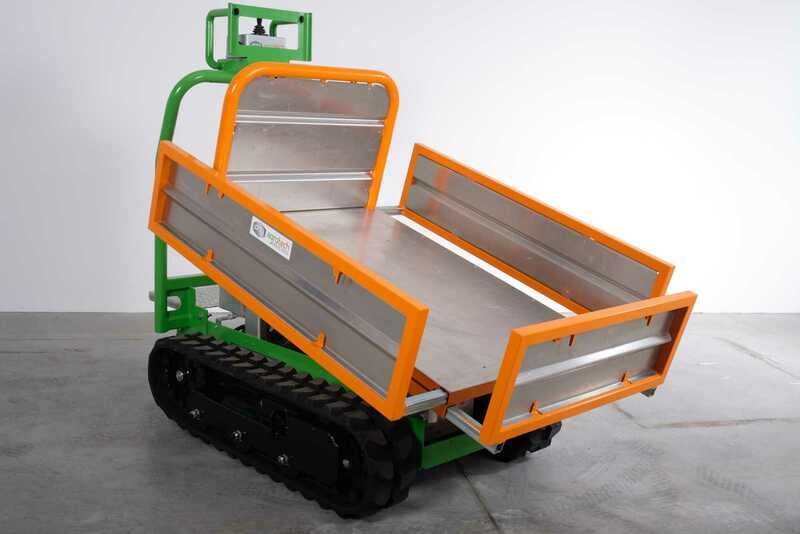 A highly versatile maintenance working platform for professional orchards and industry. 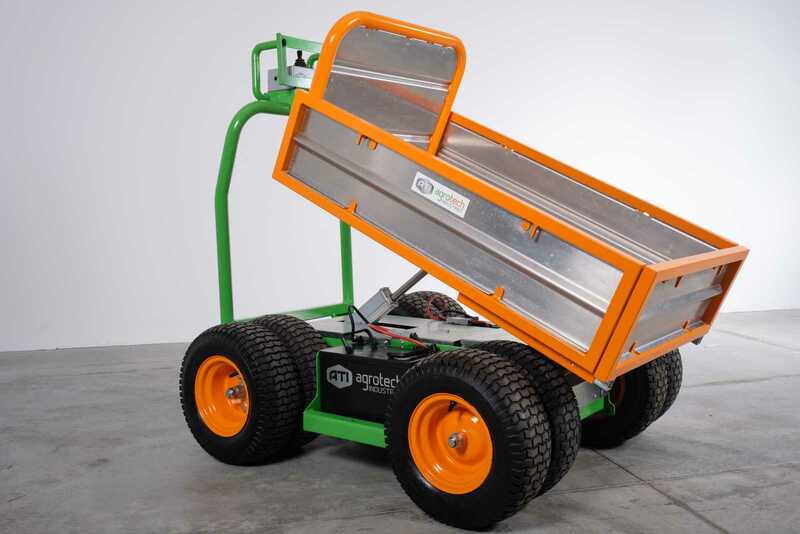 The ATI Piccolo is an electrical working platform for all maintenance work in professional fruit orchards with large distances between tree rows and flat grounds. 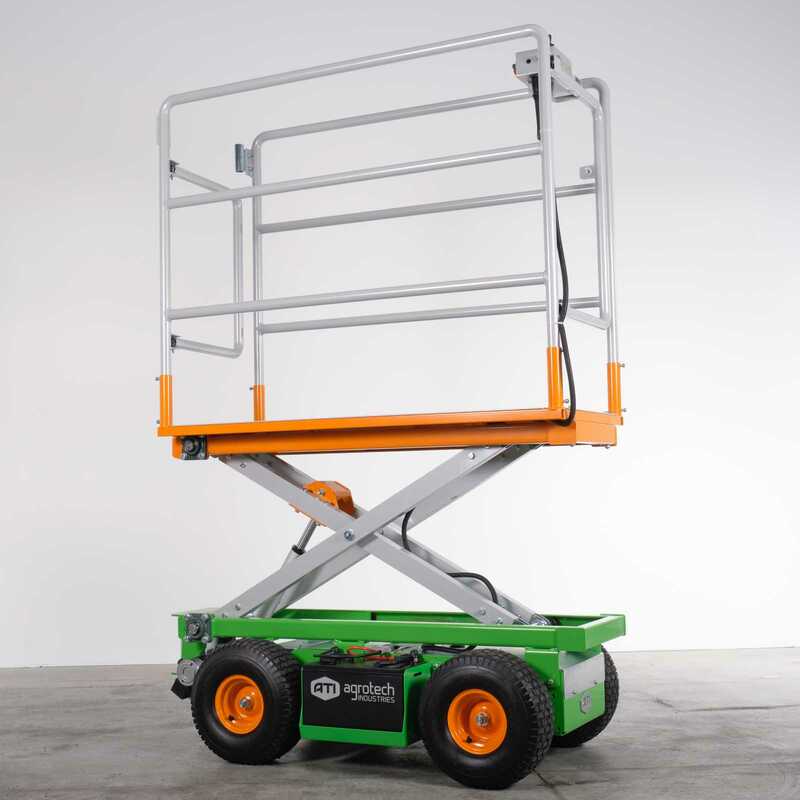 A highly versatile working platform for greenhouses and indoor activities. A powerful transport vehicle for vineyards in steep landscape with a caterpillar system to operate on difficult grounds. 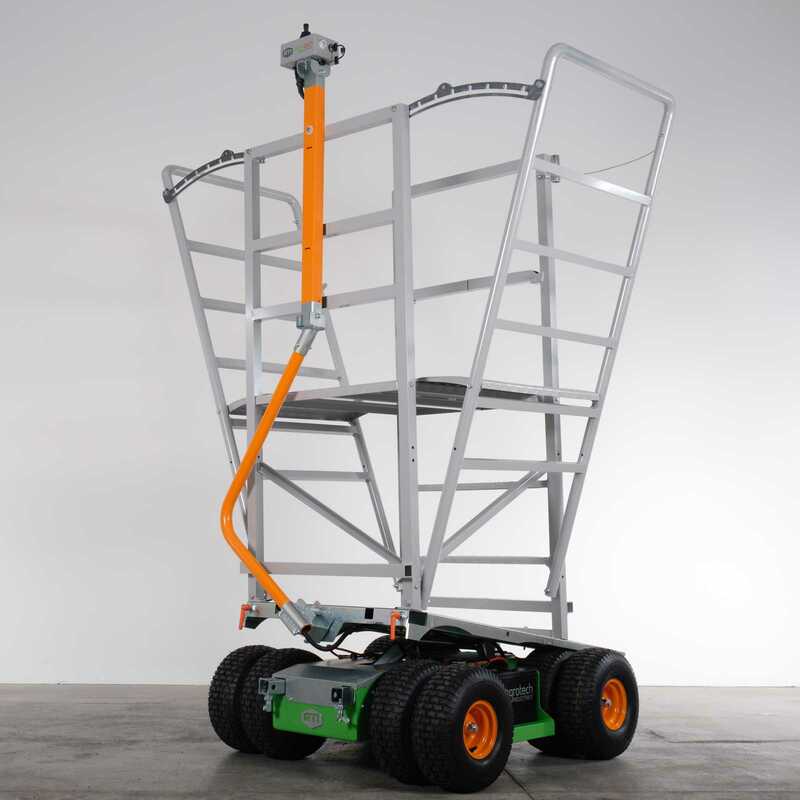 A reliable partner for all indoor and outdoor transports and in alpine regions. 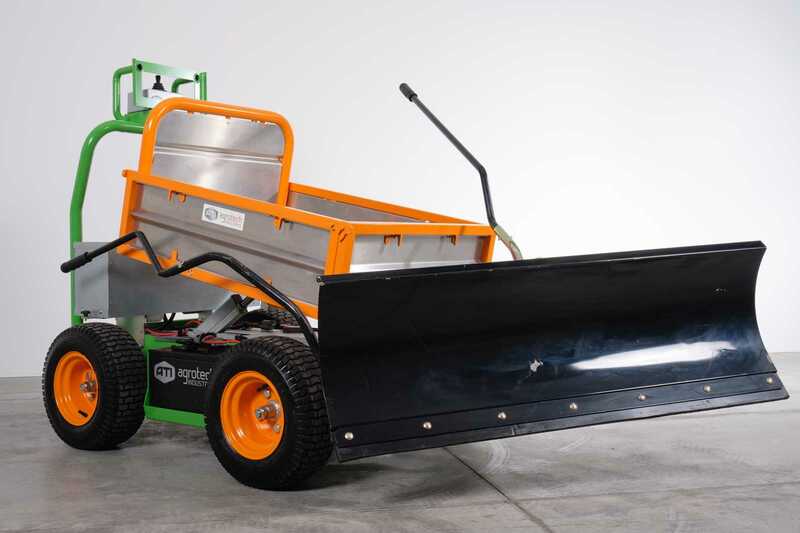 A quiet winter servicing vehicle reducing the challenges of snow of hotels and public walkways. Savings in time and money: Using an ATI vehicle can reduce work time by 30 – 50%. This represents around 150 work days per year on a fruit farm of 4 to 5 hectares. At a conservative estimate this means a saving of around 60 working days per person per year. With an hourly wage of 8 Euros, expenses are reduced by 3,000 – 4,000 Euros per person per year. Reduction in work load: Improving working conditions and making work easier are important factors in orchard farming. 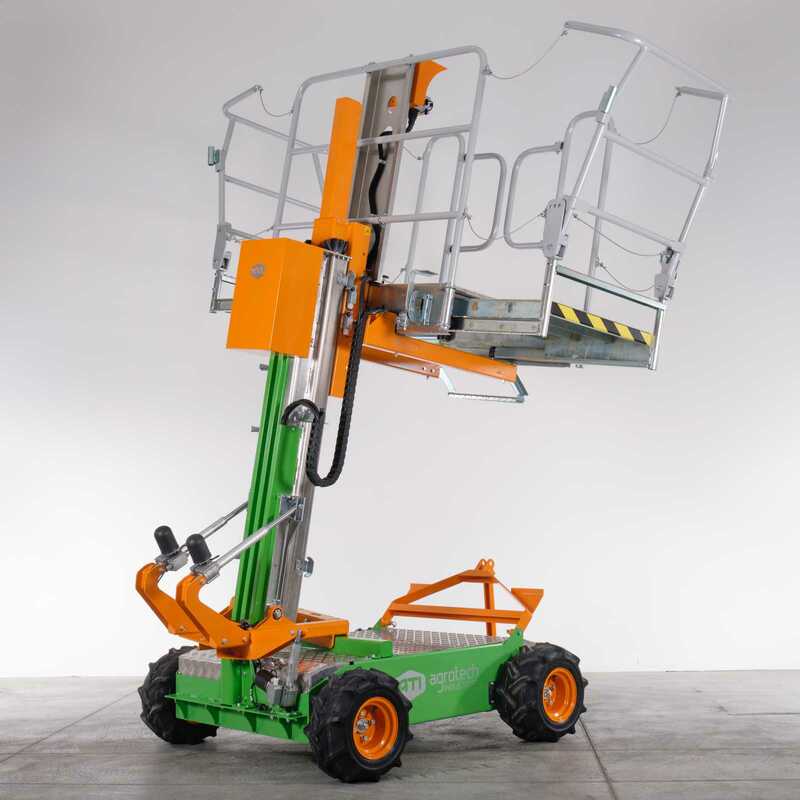 There are 7 to 10 regular operations on every tree, each of which involves climbing up and down at least 1 meter. For a typical orchard of 3,000 trees per hectare, the work in a 3 hectare orchard is the equivalent of scaling Mount Everest – and back again. All avoided by using an ATI electric vehicle. Non-polluting: Since the platforms are electrically driven, there are no annoying noises, toxic fumes or air pollution, and no vibration. Energy-saving: An electric motor is 50% more efficient than a conventional combustion engine. Overheads are significantly lower than with a diesel engine. Service Friendly: ATI machines require only limited servicing, far less than a combustion engine. Comfort: Semi automatic hillside balance as well as variable automatic driving modes (e.g. timer and interval drive) make working with ATI machines even more pleasant and efficient. Solar Power: When a solar panel is fitted, an ATI machine becomes 100% energy self-sufficient. No need for external charging.